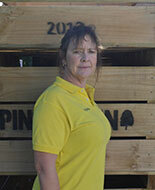 Pinehaven is a family run orchard with a number of our staff being family members. Many of our staff here at Pinehaven have been with us for over five years. We take great pride in keeping our staff well trained and up to date with all industry standards. 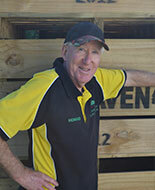 Howard started working for Pinehaven in 2009 in the old shop part time. A life long resident of Greytown, Howard came out of retirement to give us a hand in front shop work. He loves interacting with the public and working with the whole-sale part of the business coordinating the orders. 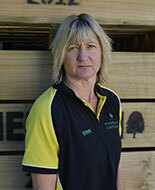 AKA 'Skin', Karen is Steve's sister, like Steve she was brought up in the orchard she has an indepth knowledge of apples, she helps process the whole sale orders with Howard does deliveries and fills in any other gap where needed. The Big Boss concentrates on the daily operations of the Orchard and its staff and over see's much of the running of the shop as well. Or Pinehavens 'Gran'. Gran works mornings during the week in her office (kitchen) making preserves with Pinehavens produce. Gran organises fruit for the ice cream machines and helps out where ever needed. Is married to the boss. 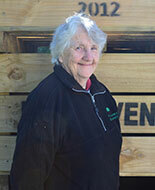 Sarah started working for Pinehaven in 2003, she is responsible for the accounts ordering all the products and over sees daily running of the shop. 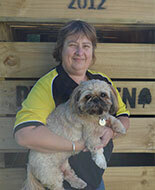 Our newest addition to our team, Julie started with Pinehaven in 2013. She works Monday to Friday and specializes on the fruit side of the shop. Started working for Pinehaven in 2005 picking corn, tomatoes, strawberries and apples has graduated to chief fill at the shop when needed. 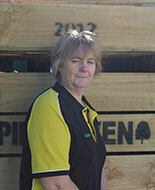 Erin started working for Pinehaven in 2008. 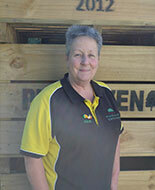 Our vegy queen works retail Monday, Tuesday and Fridays and supervises the young staff over the weekends. Stan was born in Carterton and raised on a dairy farm, where he helped with the daily running of the farm; he didn’t feel drawn to dairy farming so he spent three years traning to be a Fitter and Turner . There were few opportunities for skilled workers. 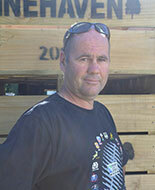 Stan migrated south to Greytown and started his long association with fruit growing. 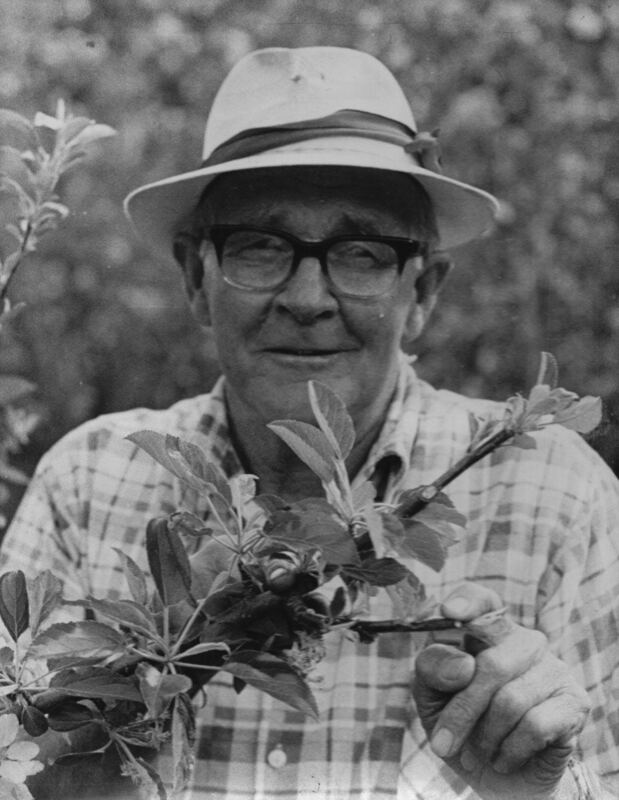 He worked for two different apple Orchards, one being for Mr W.A Tate. He then went on to start his own business. He bought a Chrysler van and sold fruit and vegetables to the southern Wairarapa people. Greytown, Featherston, Martinborough right down to Lake Ferry and a lot in between. He made a living and had the satisfaction of being his own boss. Stan enjoyed his time on the road meeting lots of different people. The long hours of what was virtually a seven day a week job started taking its toll and having five children placed other demands on his time. It was time to look for a more settled occupation, but still within the fruit industry. In 1952 Stan was approached by Mr W.A Tate to consider buying Orchard Holm (James Hutton Kidd’s Orchard). Stan walked into his own Orchard on October 3rd it was being surrounded by a shelter belt of pine trees, Pinehaven was a most appropriate choice for a name and Pinehaven Orchards was born. Stan had a lot of work in front him after purchasing the Orchard, Mrs Kidd did her best after her husband died but things did get a little run down. He had the soft fruit which was a good cash income when times were hard. A few years later Stan eventually pulled them out and replaced them with apple and pear trees. Stan semi-retired from the Orchard in the eighties when his grandson was brought into the Orchard, but he had a lot of input until the day he died.